I love American cinema from the 70’s and I’m a fan of Peter Yates’ classic cop thriller Bulllitt, so it was a no-brainer for me to accept an offer to review Yates’ 1973 crime drama The Friends of Eddie Coyle. I must admit I hadn’t heard of the film prior to Eureka announcing their new Masters of Cinema Blu-Ray/DVD, but it sounded very much like my cup of tea and skimming online suggested that it’s highly regarded. 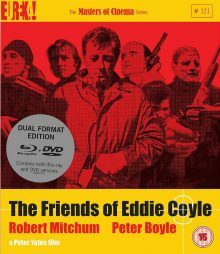 The Friends of Eddie Coyle tells the story of a group of criminals and a federal agent whose lives are intertwined around a low-rate crook named Eddie Coyle (Robert Mitchum). He’s looking at some jail time, but is advancing in years, struggling to make ends meet at home and doesn’t want to leave his wife and kids on welfare. His hope for redemption comes in selling guns to a busy group of bank robbers to keep the cash coming in, whilst shopping in his gun-runner contact Jackie Brown (Steven Keats) to convince the federal agent on his back, Dave Foley (Richard Jordan), to drop his prison sentence. Unbeknownst to Eddie though, Dillon (Peter Boyle), the bartender who set up the deal that got Eddie arrested in the first place, is also talking to Foley. So things can’t end well. This is further proof, if it were needed, of what was great about 70’s American cinema (even if it’s from a British director). Gritty, dark and grim, it thrives on its characters rather than a particularly involving story or exciting set pieces. It was surprising for me to see such a low key drama after only knowing Yates for Bullitt, which is famous for its mind-blowingly good car chase climax. 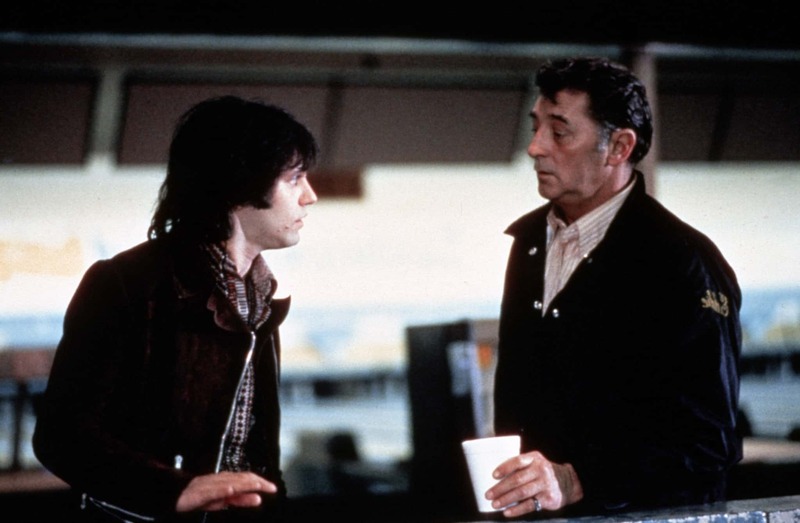 There are a handful of tense scenes in Eddie Coyle too, such as the cold and calculated bank heists and a stake out at a train station which ends in a brief flash of Yates’ car chase handling skills, but these aren’t what really make the film shine. Most impressive is the handling and portrayal of its characters. Everyone in the film is morally reprehensible and none even pretend to follow the old adage of ‘honour amongst thieves’. Yet somehow you can’t help but get caught up in their worlds and cling to the vain hope that it’ll all end happily. This is achieved through some fine writing (assisted by the original novel, which is considered a crime classic) and an excellent cast. Mitchum is often great, but here he outdoes himself in a role that others might find difficult to pull off. I haven’t read the source novel, but I believe the Eddie Coyle character was younger in that, yet Mitchum seems perfectly cast here. His co-stars are spot on too and I do mean co-stars, as this is really an ensemble piece, despite Mitchum’s character name making the title. Boyle is an under-appreciated addition to numerous 70’s classics and Jordan and Keats, neither of whom I was previously aware of, nail their roles as the slimy agent and exasperated gun-runner respectively. The film does an excellent job of de-glamorising the criminal lifestyle too. Like the underrated Donnie Brasco, made decades later, it focuses on lower rung criminals. The characters here aren’t enjoying the opulent excesses of wealthy mobsters, they’re struggling to pay the bills and all seem desperately unhappy with their lots in life. The lack of big action set pieces helps maintain this theme, as does the washed out, grainy cinematography. Due to this innately melancholic tone and the sense of doom that hangs over proceedings, it’s not as easy to enjoy as some crime movies, but if you give it a chance you will be greatly rewarded. 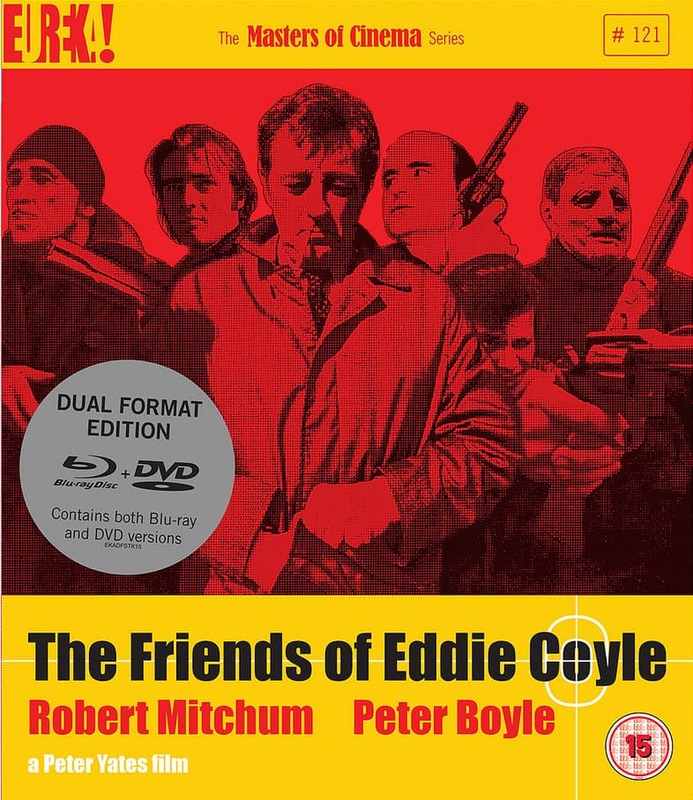 The Friends of Eddie Coyle is out now on Dual Format DVD and Blu-Ray in the UK, released by Eureka as part of their Masters of Cinema series. The transfer quality is great as usual. The picture looks a little faded in some dark scenes perhaps, but overall it looks good. 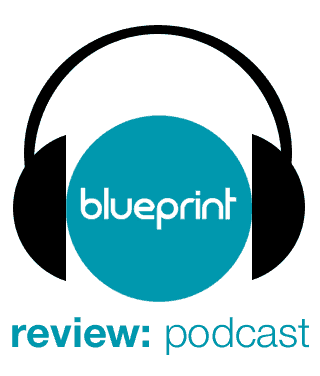 Special features include a new video appreciation of the film by critic Glenn Kenny and a 1996 career-spanning on-stage interview with Peter Yates hosted by critic Derek Malcolm. These are fantastic. The picture and audio quality of the interview is poor, but it gives an impressively detailed insight into Yates’ whole career and runs at a lengthy 77 minutes. 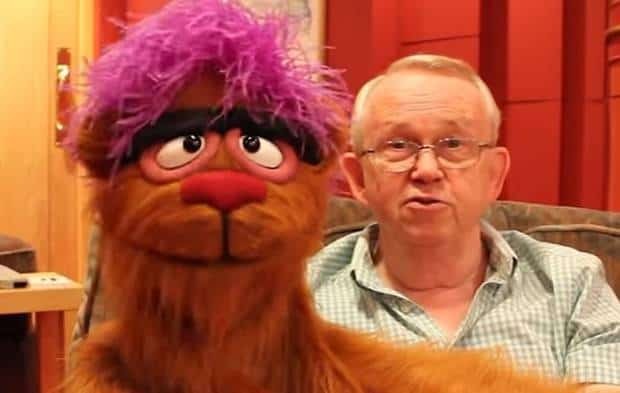 The video appreciation is very good too, giving the full backstory to the production and the original novel the film was based on as well as offering some analysis of the end product. As with all Masters of Cinema releases, you get a booklet in with the package too. Included is an excellent essay on the film by the late Mike Sutton and a period interview with Yates. Both make for recommended reading as usual.